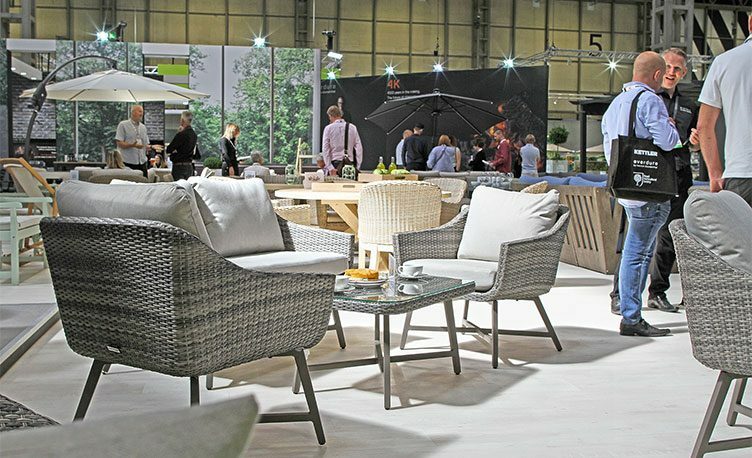 The annual trade show for garden furniture and outdoor living took place at the NEC this July. 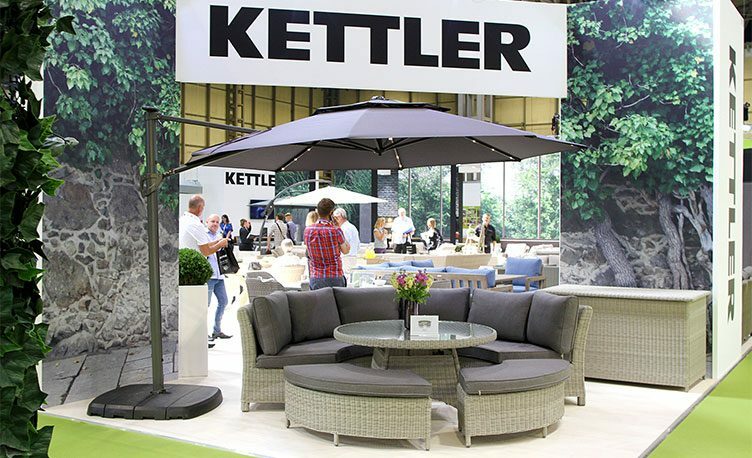 SOLEX is the best place for industry buyers to see what Kettler will be offering in 2019. So, what can you look forward to? The Palma range will continue to impress with a new table design set to fire up the garden furniture market. Our wicker range will expand, with a new family going into garden centres across the UK. We have new furniture blends, mixing two materials to make one modern set. Our RHS range is set to grow after the success of the wooden garden furniture and Harlow Carr wicker sets (pictured above). Our new accessories will help you unwind outdoors. We are dipping our toe in new territory, continuing to innovate and improve the garden experience. 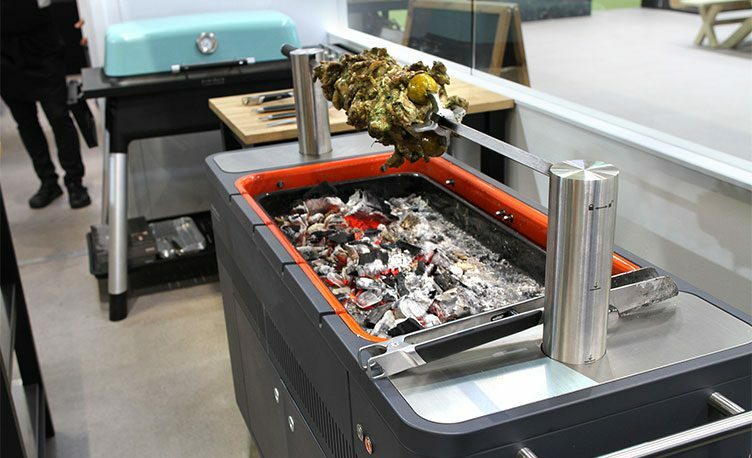 We introduced the BBQ accessories from the Everdure by Heston Blumenthal range to buyers. The accessories will improve your cooking prowess and inspire your BBQ recipe repertoire. Chefs from Heston’s Fat Duck Group visited the show for the first time ever and cooked delicious tasters for our guests. They cooked prawns on the Furnace gas BBQ and chicken souvlaki (pictured above) on the spit of the HUB charcoal BBQ. Not only that, but our customers had a special, private look at the ultimate outdoor cooking machine. Were You Prepared for the Heatwave? SOLEX is always a great time for Kettler to not only look forward to the new year’s garden trends, but also reflect on the past year. We saw people flock to their garden furniture when the summer heatwave hit this year. 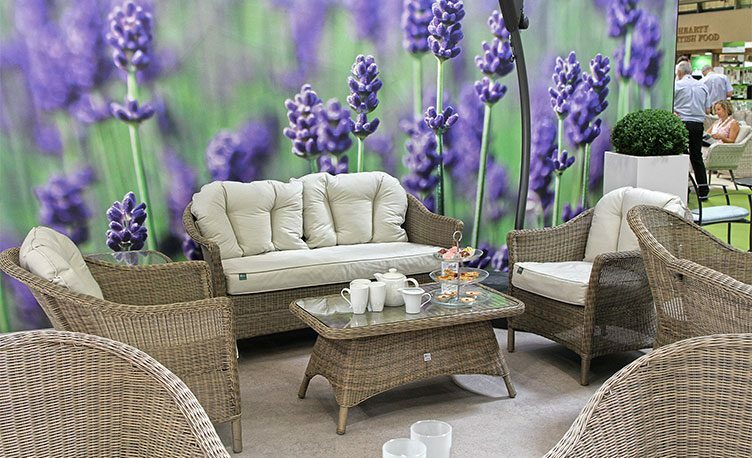 We are proud to help you be ready to relax in these high temperatures on high-quality luxury garden furniture.